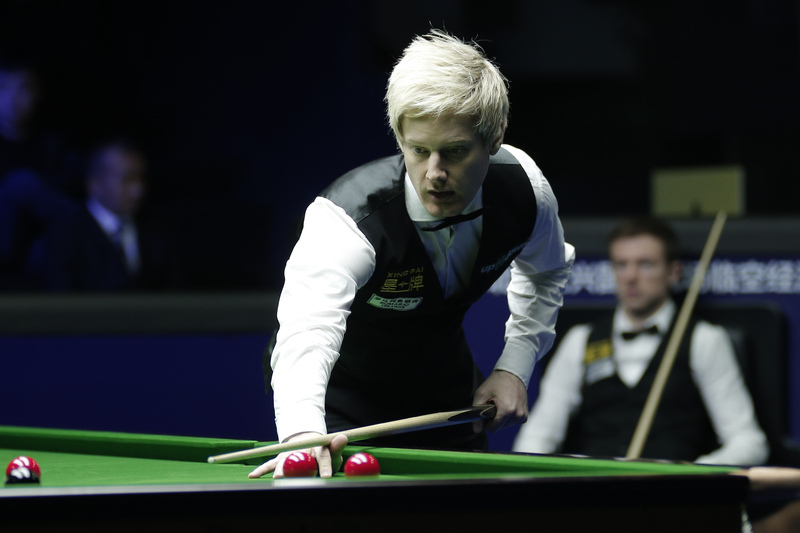 As the tournament unfolds it’s increasingly clear that the two players in form in Beijing are Neil Robertson and Stuart Bingham. 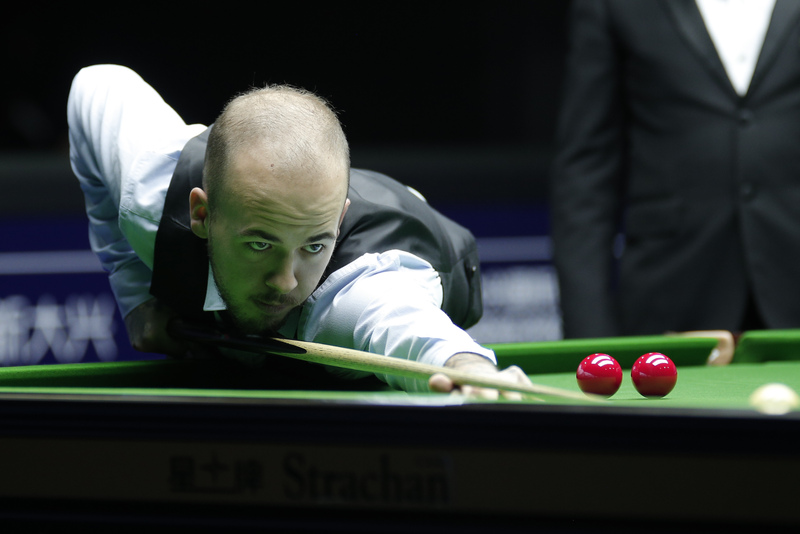 Luca Brecel also looks in good nick, although he made a rather slow start against Hossein Vafaei. 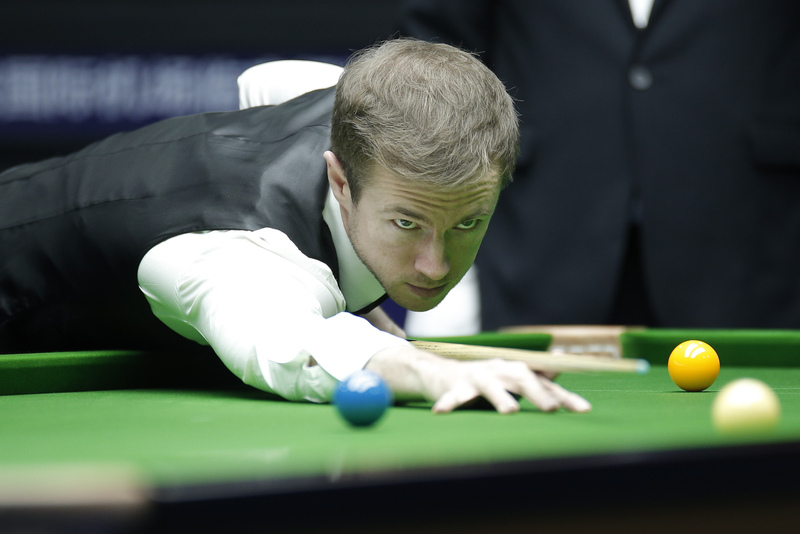 Jack Lisowski made his fair share of errors but then it transpired that his tip was damaged. He had to take a break after framùe 8 to fix the problem. Therefore it’s hard to know exactly how well he’s playing (or not… ). He’s facing Stuart Bingham tomorrow and will need to improve to stand any chance, unless Bingham has a bad day in office. In any case, going by what we have seen so far, I would be very surprised if we didn’t have two top 16 players in the final come Sunday. One of Scott Donaldson and Ben Woollaston will reach the semi-finals. Ben in particular had a poor season so far but he’s turning it around and making it count in Beijing! Alan McManus will play Luca Brecel tomorrow. It’s fair to say that their styles are radically different. Anything can happen: Luca might well out-pot Alan and keep him cold off the table, but equally, Alan who is experienced and shrewd could outfox and frustrate Luca pushing him into taking a few risky shots too many. “You said I had back-to-back tons, I can’t remember”@Stuart__Bingham was in the zone as he swept aside Rod Lawler to reach the last 8 at the XingPai China Open! Alan McManus is through to the last eight of a ranking event for the first time since reaching the World Championship semi-finals in 2016. The Scot battled hard to defeat compatriot Anthony McGill 6-3 and will face Luca Brecel tomorrow. 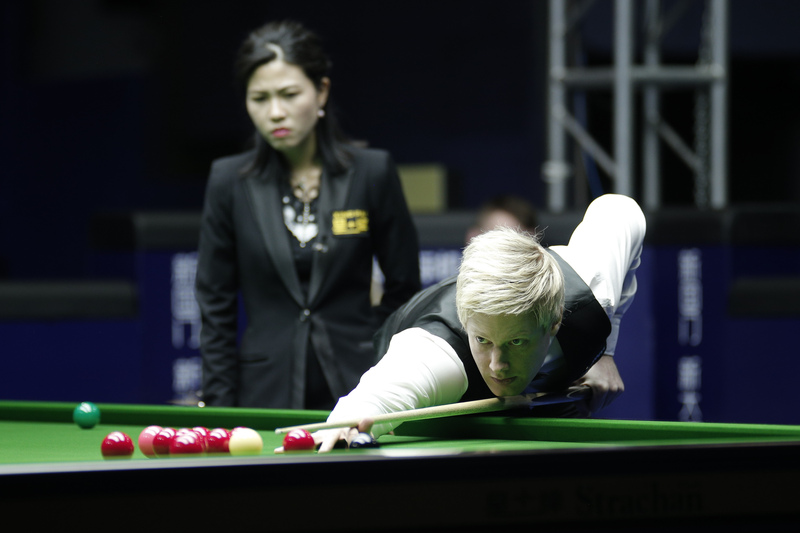 Ben Woollaston booked his place in the quarter-finals with a narrow 6-4 win over Lyu Haotian. It’s the Leicester potter’s first trip to the last eight of a ranking event since the 2017 Paul Hunter Classic. He’ll face Scott Donaldson tomorrow for a place in the last four. 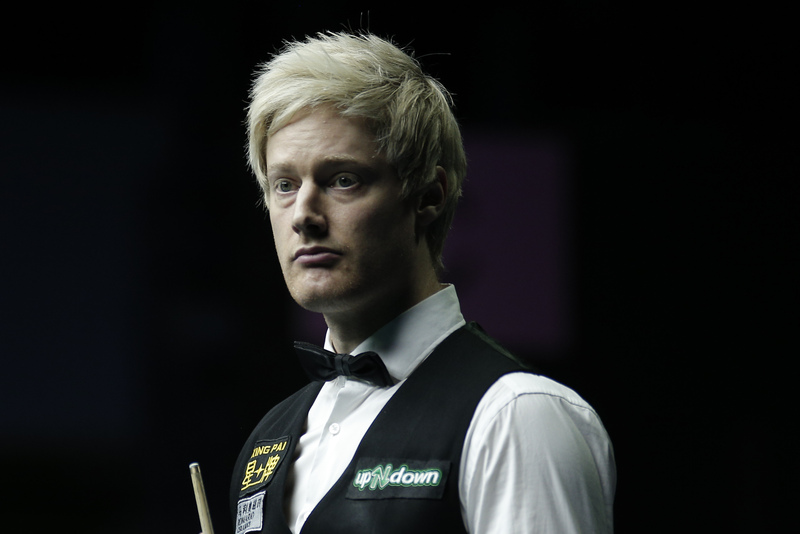 Donaldson won a fiercely contested clash with Ricky Walden 6-5 to progress. Both players still have a chance to grab a surprise last gasp place in the world’s top 16 to qualify for the Crucible. However, along with McManus, they must win the event to do so. The last 32 round was played to a completion yesterday in Beijing. 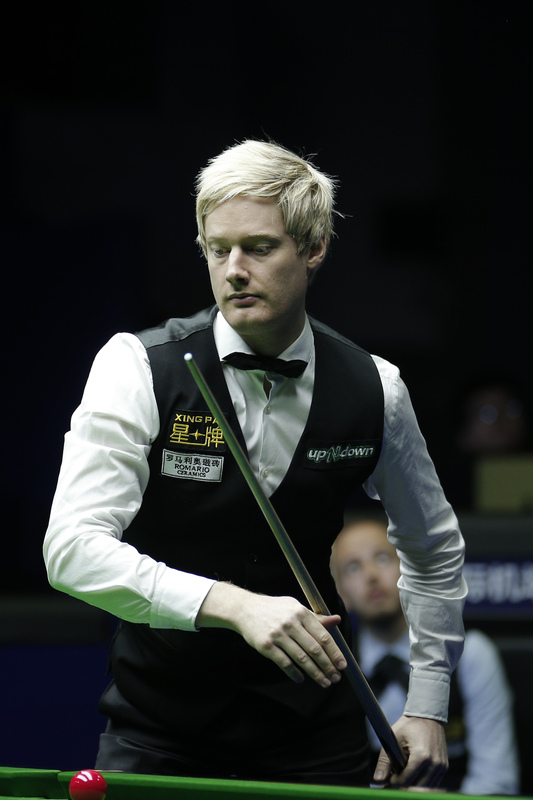 For a moment it looked like the last “poster boy” standing could well go out in the last 32, as Neil Robertson trailed Mei Xiwen by 3-1 at the MSI in the main match of the afternoon. 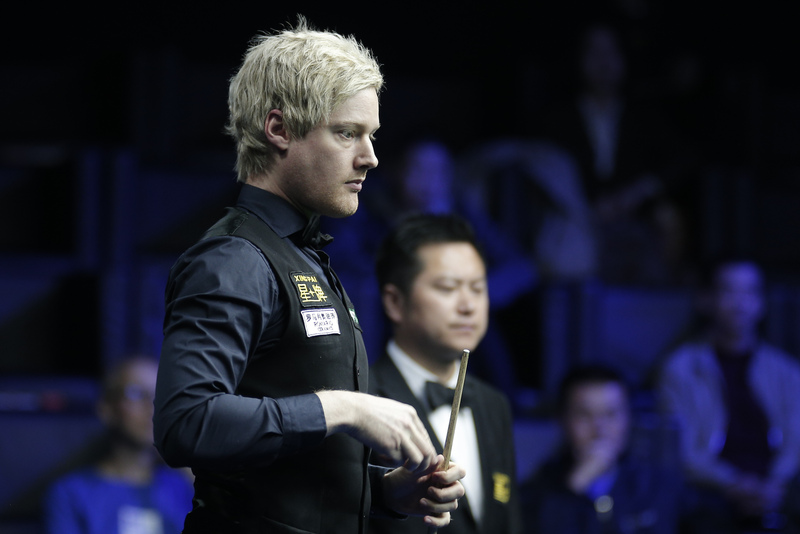 Mei is a capable player, but by no means a brilliant one and surely not many expected him to dominate Neil Robertson, but it’s what he did for the first four frames. It didn’t last though … I’m not sure what kind of vegan tea Neil had during the MSI but he came back a different man. The main evening match saw Peter Ebdon do battle with Stuart Bingham. “Vegan Power” against “Chicken, chicken winner dinner”. The Chicken won … Watching Ebdon play is quite fascinating. Whoever he plays he almost always manages to dictate the pace of the match … and it’s not fast. It’s hard to believe that Peter once was a very fluent player, but yes, he was. Now he’s slow, contemplative … but creative. He very often comes up with the unexpected. Because of the slow pace, our commentators seem to feel the need to “fill” the time by babbling about things irrelevant to the match in progress. I hate it, so I mute the sound, which transforms watching Ebdonesque snooker into a kind of zen experience. Anyway, it was 3-3 after 6 lengthy frames. Then Stuart Bingham constructed an excellent 147 and that seemed to wake him up from a trance as he then concluded the match swiftly. Our commentators were probably also in a trance as they only noticed that Stuart was on a 147 when he reached the colours… (by then I had restored the sound). 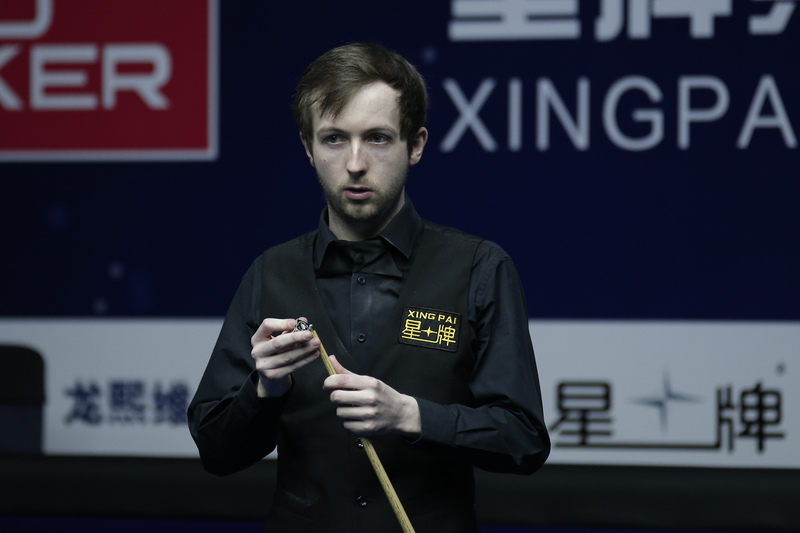 With Mark Selby, John Higgins, Judd Trump and Mark Williams already knocked out, Australia’s Robertson is the highest ranked player left in the field at number seven. 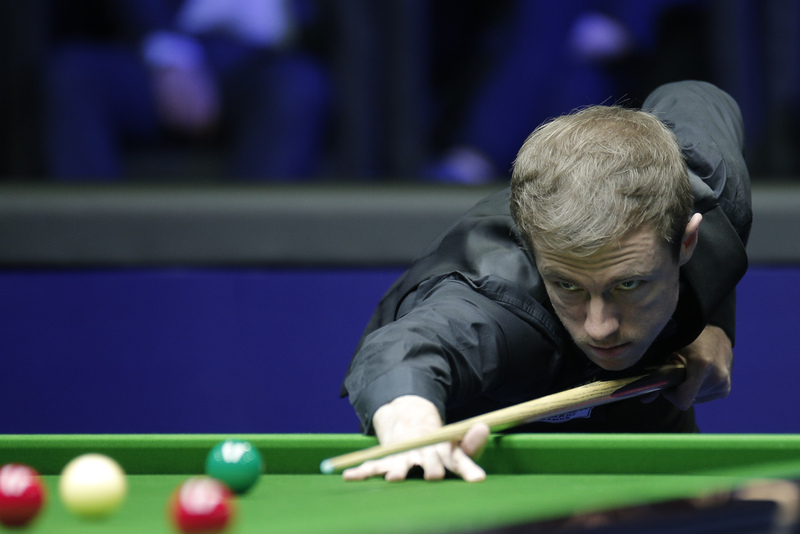 He has already won two titles this season and reached three other ranking finals, and Robertson is aiming to reach a fourth consecutive final having won the Welsh Open in February then finished runner-up to Ronnie O’Sullivan at both the Players Championship and Tour Championship. The 37-year-old left-hander struggled in the early stages today, but then stormed back after the interval to win five consecutive frames with breaks of 141, 70, 55, 71 and 83. 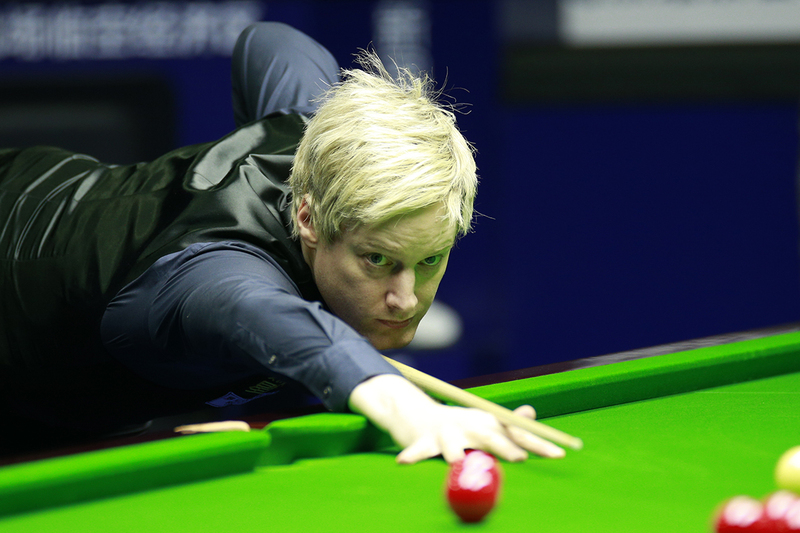 The first of those was the highest break of the tournament so far and his 73rd century of the season. 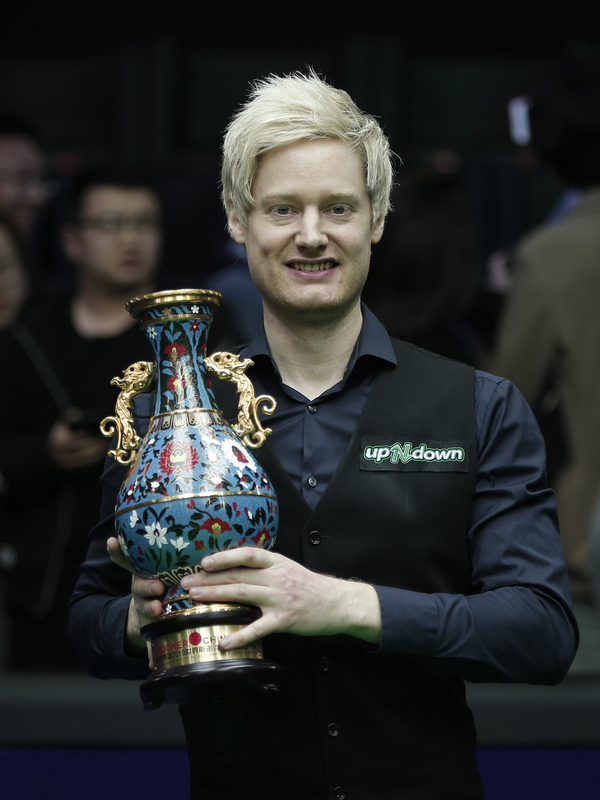 “At 3-1 down I was thinking about booking the next flight home,” said Robertson, who won this title in 2013. “After the interval I was aggressive and played very well. I made a ridiculous clearance to go 4-3 up, that was the best clearance I have made this season. “This has been my best season and I am in the best form of my career at the moment, I am very proud to have reached the last three finals. I will enjoy the rest of this week and everything is good looking ahead to the World Championship. He now meets another Chinese opponent, Lu Ning, who beat Mark King 6-2 with a top break of 104. World number eight Kyren Wilson was beaten 6-4 by Rod Lawler, who made breaks of 76, 90 and 57. 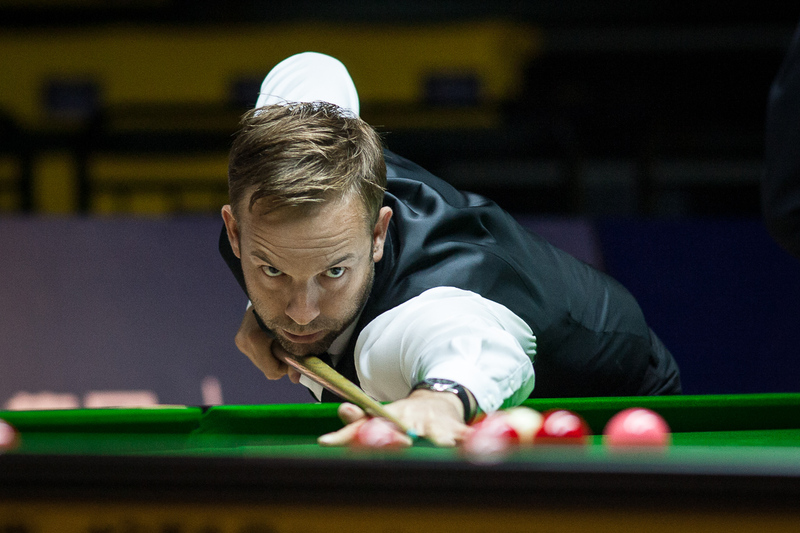 Ali Carter let slip a 3-1 lead as he went down 6-4 against Sam Craigie, who fired runs of 68, 75, 73, 136 and 54. That result means two-time Crucible finalist Carter will have to play in the qualifying rounds of the World Championship next week. Click the Race to the Crucible to follow that story. Ken Doherty could not follow up yesterday’s win over Mark Williams as he lost 6-1 to Ricky Walden. Chester’s Walden managed a top break of just 54 but won several scrappy frames as he booked his placed in round four. Joe O’Connor knocked out John Higgins yesterday but his run ended with a 6-3 reverse against Hossein Vafaei. Iran’s top player Vafaei, who reached the semi-finals of this event two years ago, knocked in runs of 125, 85, 86, 58 and 75. 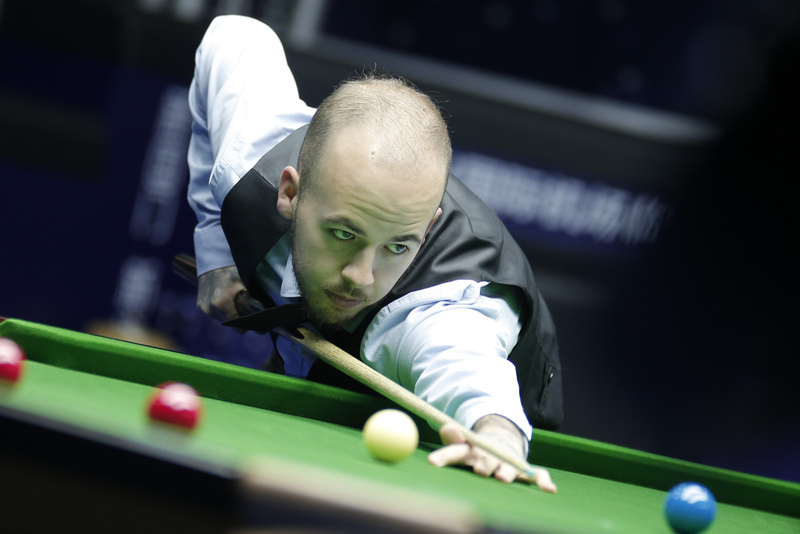 Luca Brecel top scored with 83 in a 6-4 win over Michael Holt, while Ben Woollaston was in fine form in a 6-3 win over Andrew Higginson, making breaks of 90, 87, 53, 55, 135 and 77. Gilbert is 16th in the Race to the Crucible and hoping to be a seeded player in Sheffield for the first time. But with a £225,000 top prize up for grabs this week in Beijing, there are several players below him who could jump into the top 16 by winning the title. All 15 players above Gilbert in the list are now sure of their places at the Crucible. Scotland’s Donaldson produced a fine display to knock out Gilbert, making breaks of 92, 78, 60, 50 and 64. Anthony McGill is one of those who could leapfrog Gilbert by winning the title, and he won a Glasgow derby against Stephen Maguire 6-3. After losing the first frame, McGill took six of the next eight with top runs of 70, 70, 73, 82 and 51. Veteran McManus impressed in a 6-0 whitewash of Stuart Carrington, his top break 97. Stuart Bingham pulled away from 3-3 against Peter Ebdon to win 6-3, making a 147 in the seventh frame. Read more about that here. 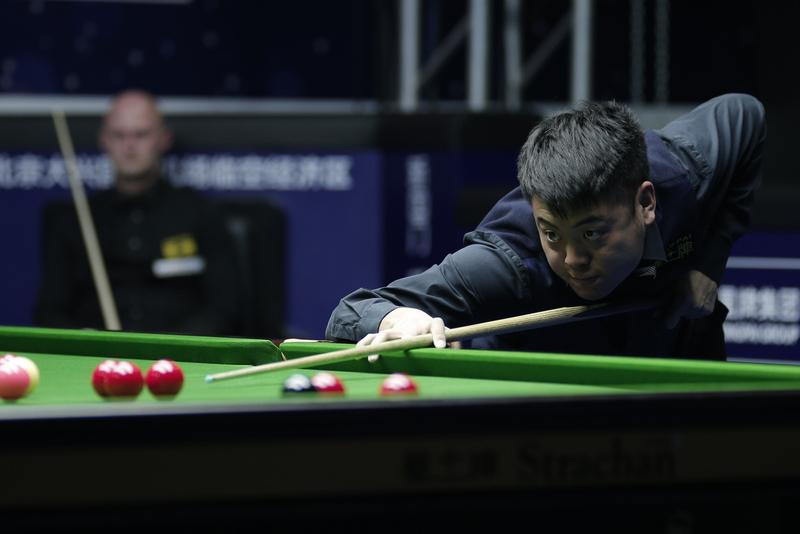 Liang Wenbo came from 5-3 down to beat Craig Steadman 6-5, making breaks of 134, 85 and 43 in the last three frames. Li Hang saw off Robbie Williams 6-4. 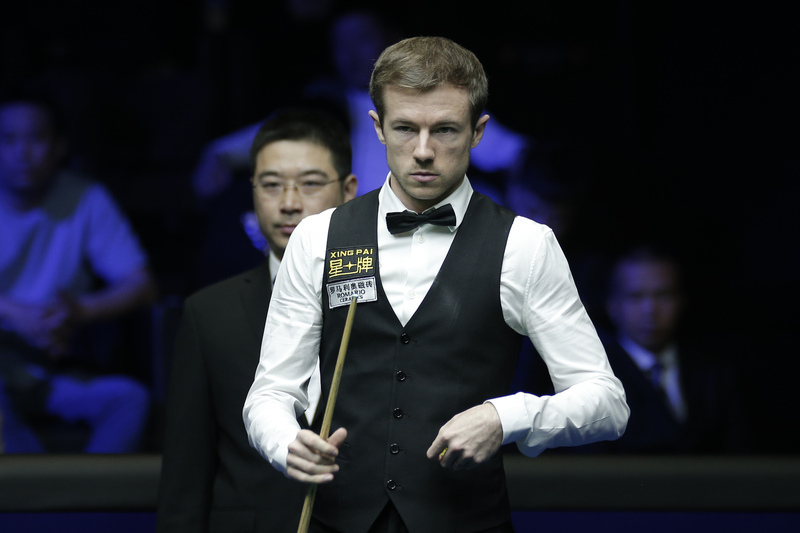 Jack Lisowski top scored with 71 in a 6-3 defeat of Gerard Greene while Indian Open finalist Lyu Haotian eased to a 6-2 win over James Wattana.